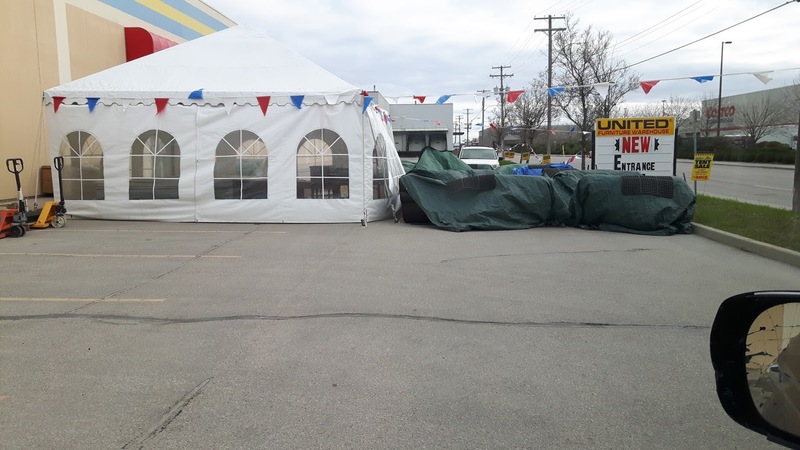 So it was the big tent sale. That time of the month when the staff get excited to carry heavy furniture outside for the public to view. I guess these guys thought we live in such a nice country we just gonna leave all this leather furniture outside. Such a waste of time moving it in and out. Hey! Just cover them with anti theft plastic sheets. Because no stores here have any security it just makes me shake my head.